March is Women’s History Month and we’re celebrating by hosting our Women ON Point leadership summit in Minneapolis on March 28-30. We also recognize that March 8 is International Women’s Day…a global day dedicated to celebrating the social, economic, cultural, and political achievements of women throughout the world. It’s also a day that encourages action to accelerate gender parity. It’s hard to believe that in 2018 women are still lagging behind in almost every category…leadership, pay, and overall gender equality. The World Economic Forum predicted that we wouldn’t achieve global gender parity until 2095, and the gender gap wouldn’t close completely until 2133. Staggering statistics in a Harvard Business Review article reveal the rapid decline of women as they move up in an organization. More than half of all employees are women at the lowest levels, but that number drops off significantly at each successively higher level: women make up 53% of new hires, 37% of supervisors, 30% of managers, 26% of vice presidents, 14% of senior executives, and 3% of CEOs. Not only does this defy basic common sense, it defies good business sense. Statistics don’t lie! It has been proven many times over that the companies that perform best financially have the greatest number of women in leadership positions, according to a new study and worldwide survey conducted by the HR consulting firm DDI and the nonprofit business research group The Conference Board. The companies that produce financially at the top 20% report that 27% of their leaders are women. In contrast, the bottom 20% of financial performers report only 19% of women in leadership roles. Across industries, countries, and companies, men and women alike agree that more female leadership leads to stronger, healthier, and more profitable organizations. Women have a positive impact on culture, productivity, results, relationships, collaboration, teamwork, motivating and developing others, spearheading change and innovation, taking initiative, establishing stretch goals, and practicing self-development and personal growth. 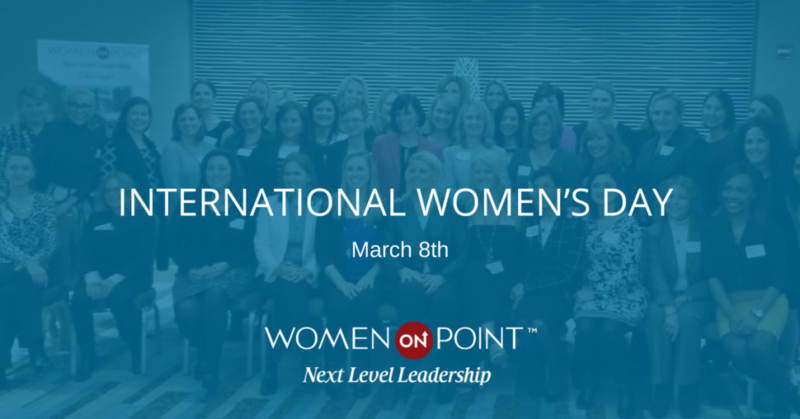 Women ON Point is strategically designed to help women take their leadership skills to the Next Level, and make a positive impact on their organizations. The next leadership summit will be held at the Hyatt Regency Minneapolis on March 28-30. Feel free to visit our website at www.womenonpointleadership.com to learn more, see video testimonials, and read success stories. In honor of this special month, and to celebrate women everywhere, we are excited to announce a special 20% discount in the month of March to any woman who wants to invest in herself and her leadership skills by attending our next Women ON Point. Contact us directly (aimee@womanuppower.com) for this special offer and we will help you celebrate Women’s History Month in a big way! !